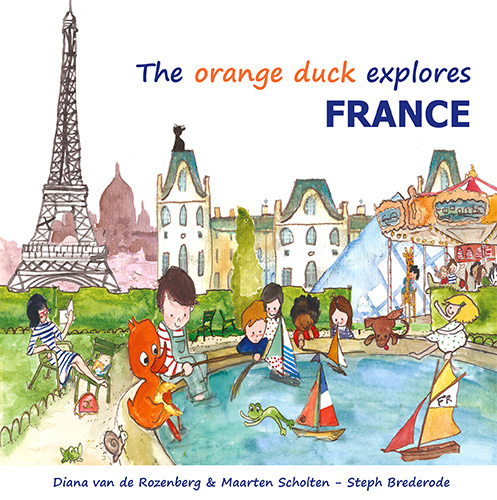 The orange duck explores France! 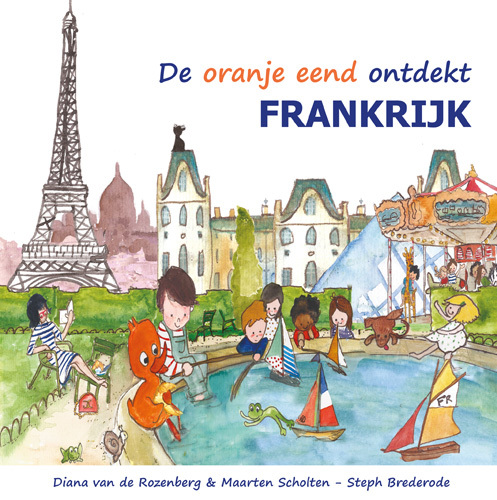 Together with his French friend, he goes up to the mountains and down to the sea, is introduced to ‘crêpes’ and ‘baguettes’, and of course celebrates July the Fourteenth. 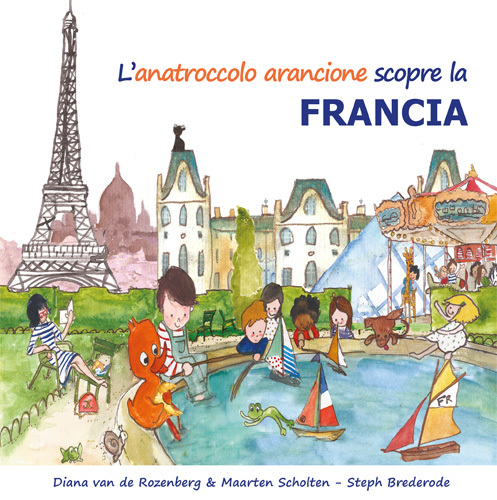 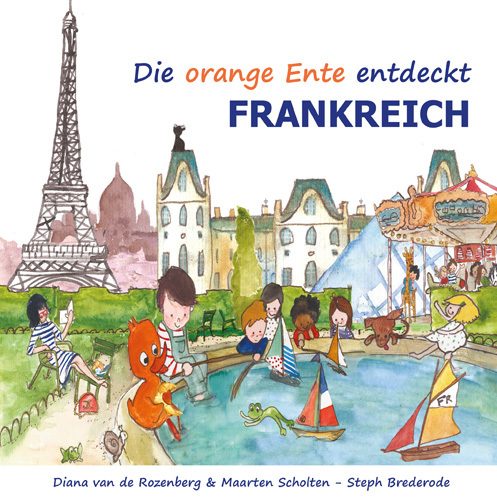 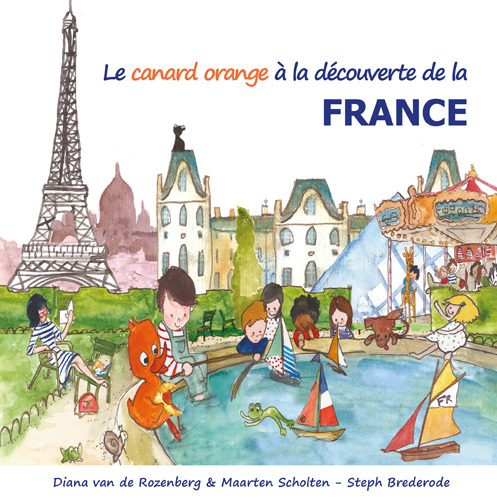 This cheerful read-aloud book takes children on a journey through France. 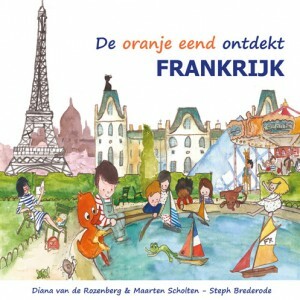 For anyone who wants to share with young children what is so special about this varied country and its proud inhabitants.